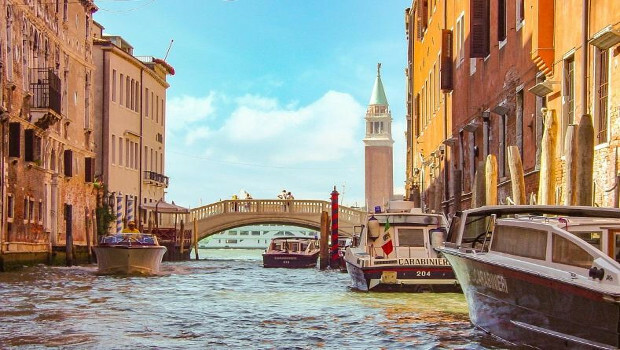 When having to travel to Venice airport transport, and around the city, most people don’t hesitate to go for water transport over traditional land-based options. This type is more picturesque and gives a unique to the Italian “water city”. Furthermore, Venice being mainly comprised of canals or pedestrian zones, some people choose water taxis over traditional cars. They reach further into the historic town Centre and are more flexible and versatile. This leaves traditional drivers at a loss. It is not like where other areas in the world where vehicles are an essential commodity. In Venice, there are little more than throwaway by-lines in the city’s transportation system. In the “water city”, a traditional taxi is virtually worthless, outside of the occasional Venice airport transport choice. Most drivers will find themselves stunted and straitjacketed. They are restricted to operating around areas where traffic seems to be allowed. Further, there are pushed to other regions and are permanently banished from the town Centre. It’s not quite a pleasant scenario. In light of all this, a question arises. Why would anyone choose to use a taxi from Venice Port to Venice Airport? And how have traditional taxis managed to stay in business? Well, in fact, there are some arguments for traditional cabs, even in this water based city. For one, they’re a pocket-friendly than the novelty water taxis. Therefore, a more tight-budgeted traveler will gladly welcome the idea of a more economical transport option. It is cheaper to travel by taxi to Venice Airport. And while the taxi “banishment” from the town Centre seems like a disadvantage to most, it’s not to some. For those who are staying further outside of town, in areas like Mestre where traffic circulates regularly, a taxi is the best option. They will find that a land cab can deliver them to their hotel door, just like in any other part of the world. Similarly, a taxi is the best choice if you’re looking to transfer directly to Marco Polo Airport from a cruise ship at the Venice Cruise Terminal. A traditional taxi transfer should always be your best bet. More so, when you are are going to Venice Airport location. Or staying in areas around the Piazzale Roma go for a taxi. It is the furthest inner-city point where cabs are allowed to go. A taxi constitutes a better alternative to a shuttle bus if you need to reach a place like that. Even still, there is little doubt that traditional land-bound cabs are pretty much an obsolete redundancy in a city built on, and traveled by water. But regular cabs are not likely to replace water-based taxi anytime soon as the main form of transport to Venice airport. However, they are still quite useful in some areas outside of the city Centre. It is because they are much cheaper than their more touristy counterparts. Therefore, make a valid alternative for more budget-minded or “traditional” travelers to Venice Airport.